I think we can all agree that achieving a goal makes a person feel successful. I think we might all be in agreement that one compelling definition of success is achieving a goal. And I think we can also agree that there are many reasons why achieving goals can be difficult. One of the most prevalent reasons is procrastination. I know we can all agree on that. Yet just the other day, I came across an opinion piece in the NYTimes by author John Tierney called, “This Was Supposed to Be My Column for New Year’s Day.” It is a defense of procrastination. Apparently there is research to bolster this defense, research which can be summarized in the following way. If you pull a procrastinator off the couch, you will discover that while she may not have achieved her stated, highly important goal, she needs to relax on that couch, because in an effort to avoid her stated, important goal, she has worn herself out by frantically cleaning out the closets, grocery shopping, clipping coupons, pruning hedges, going to the gym, and any number of other tasks deemed less important (and usually themselves subjects of procrastination,) and certainly not necessary that day. But she is exhausted. She has earned her rest. Okay, that was less a summary than a long explanation. The point is, while procrastinators may not be doing what they say they should be doing, they are often busily taking care of other tasks that need to be done, but are less urgent, or less distressing and difficult. So, what these researchers suggest is that at the top of your to-do list you put “a couple of daunting, if not impossible, tasks that are vaguely important-sounding (but really aren’t)….then, farther down the list, include some doable tasks that really matter.” Then, as you vigorously avoid what’s at the top of the list, you accomplish much of what’s lower down on it. Now, Mr. Benchley wrote this in 1930 or so, and this research on procrastination is just now happening….Readers, draw your own conclusions. Mine is that the folks who have got onto this subject, have some really significant research they ought to have been doing, and I only hope I’m alive to read about it in the NYTimes when they finally get around to it. This method of using procrastination as a reverse psychology tool runs aground on the question of how you are ever supposed to get around to doing those things that are really important, difficult, and terrifying. Like signing your will, for example. Or. (My mind has gone blank. Just the thought of thinking of those terribly frightening deeds that need doing has scrubbed it clean. You get my point.) If you keep putting off and putting off the thing at the top of the list, you haven’t dealt with the original task, the Prime Mover of Procrastination, if you will. That Prime Mover got the whole to-do list rolling in the first place. My point, Readers, is that when your evasion tactics have run out, and your photos are in albums and your teeth are bleached, but you still haven’t faced that will, for example (and this it not at all related to my life,) then you have to have a solution for procrastination. Now, Mr. Tierney has written a book with Roy Baumeister called Willpower, so of course he has a solution for us. He'd better. It's called the Nothing Alternative, summed up by Raymond Chandler’s rules for writing, which were a) you don’t have to do it, but b) you can’t do anything else. This is all well and good, especially if you have an excellent editor like Gordon Lish to shape your efforts into paragons of excellence; but if you don’t - and in any case, even Gordon Lish couldn't execute Raymond Chandler's will, or mine - I offer another option. Options are good, especially when you’re on a deadline and you need to make a decision. You can put off your decision for the perfectly justifiable reason that you need to consider your options. So I offer you mine. Ready? It's kind of counter-intuitive. Bear with me. That’s right. Children. Have them. Have your own, or get some who are your responsibility. Because children derail your plans every day. Have you ever tried to complete any task while children are present? Can’t be done, can it? How about a sentence? Complete a sentence? Nope. See, they throw your whole system into chaos, and if you’re not sleep deprived because of some weird phase they’re in, you’re sick because of something nasty they brought home to you. These examples are most applicable to younger children, but older children have their ways of derailing, too. That project they forgot to mention is due in two days for which they must have a presentation board which means you have to drop everything and go to Staples immediately? The meltdown over math that causes you to forget to make dinner? Why or how does any of this chaos help you end procrastination? Well, years of saying, “I’m too tired to do blah or blah, I’ll do it tomorrow,” only to spend the night emptying the barf bucket and watching old movies on TV and then being really, really too tired to do blah or blah the next day, taught me the meaning of that phrase, "no time like the present." I would say to myself, I will do this deed now, because you never know what’s going to happen later. So, yes, if I wake up and the weather’s decent and the kids are healthy and I have slept pretty well, then I know today’s the day to take care of that thing I’ve been dreading. You never know what tomorrow will bring. So do it now. 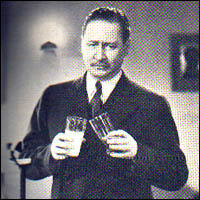 And by “it” I mean, pick up a copy of Robert Benchley’s stories, if you haven’t got one already. Remind yourself that he may have joked about procrastination, but he got his work into print, which means he finished it. And then go lie down on your couch immediately, and read a few chapters. You’ll feel better, I promise. You can get to that to-do list later. As a Master Procrastinator, I've honed a few tricks. First,I've come to understand that most delays of What Must Get Done are caused by my being overwhelmed. And full of fear. What I learned in the process of completing an extremely difficult legal document was to a) ask for help from a variety of people, b) trudge through it bit by bit, and c) persevere. I was astonished whcn it was over and done with. It's not rocket science, and Nike says it all: Just Do It. I might add: whether you feel like it or not. So true. I think it's a symptom of maturity, that ability to trudge through. I'm only partway there, in truth. Another thing that helps me is the awareness of the value of time, which is another symptom of maturity. I have more awareness that each moment wasted is never coming back to me, now that I'm approaching middle age. This theory certainly holds true for me. A couple years ago I felt compelled to attend to my entire Christmas shopping list on a Friday in November when I hadn't started the sermon I was to be preaching that Sunday. Just as an example of how efficient I know I can be when putting off relatively urgent and important matters. And agreed, children make fabulous excuses to procrastinate on so many things-- and for real. I'm beginning to fear what will happen when mine are no longer at home. Will I accomplish more or less? That's funny, Kate! I joked to a friend that everything I get done, no matter how big or small, is done to avoid putting all my old photos into albums. That task just seems so daunting, and it is always nagging at me.